The holidays are a special time of year when people would rather stay inside and play mobile games than brave the cold. It’s also the time of year when advertisers are happy to increase campaign budgets and get their messages to these captive audiences. So mobile app developers should make the most of this holiday season with a virtual currency sale. Tap into large holiday budgets by giving your users bigger rewards for each advertising offer they complete. 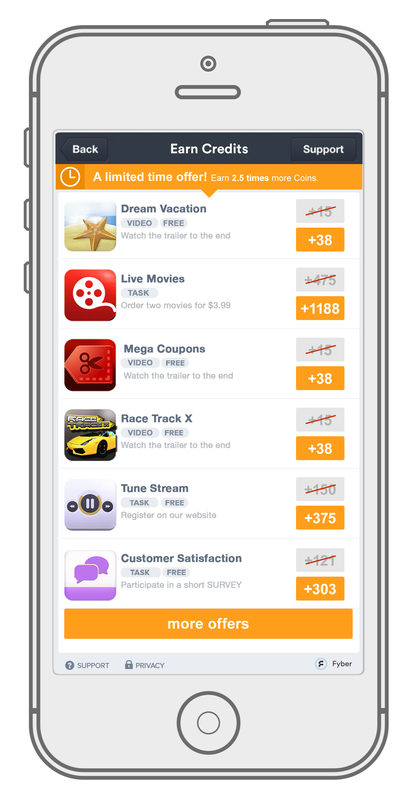 On the Fyber platform, we have seen apps receive a 50-150% lift in ad revenues on days they run virtual currency sales. Apps also see continued high ad engagement one week after a sale ends. Your account manager can help you launch a virtual currency sale that works for your application. Our monetization experts will advise you on the amount of currency to give and the duration of the sale so you can maximize your Q4 ad revenues. Contact your account manager or [email protected] to get started.